Ceramic Braces vs. Metal Braces: What Are The Advantages? Los Angeles, CA — Most people consider teeth straightening at some point in their lives, and getting a healthy and beautiful smile recently became much easier with the development of new orthodontic technologies. Ceramic braces, for example, have become one of the most popular teeth straightening options presented by today’s orthodontics. 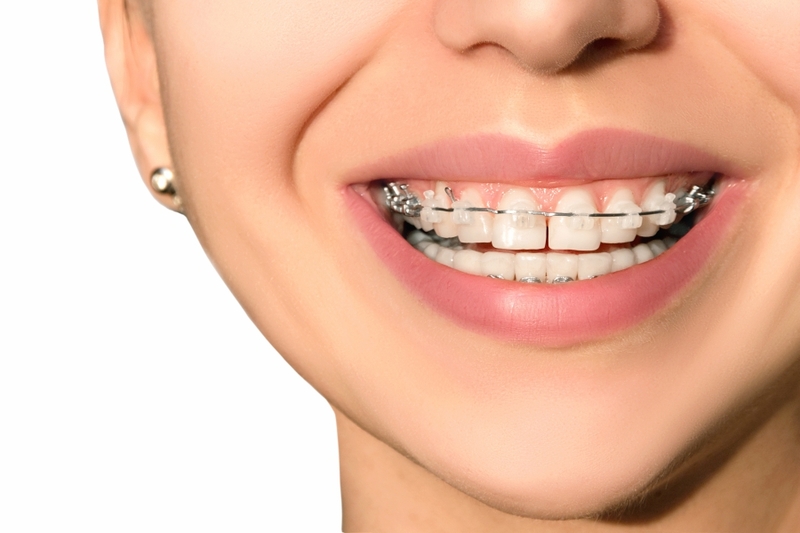 According to top Los Angeles Orthodontist Dr. Atoosa Nikaeen, ceramic braces work similar to traditional metal braces in that brackets are connected with archwires and bonded to the front of the teeth. Ceramic clear braces seamlessly blend in with the patient’s teeth color. With ceramic braces, the patient can select either clear transparent brackets or brackets that matches the teeth color. Transparent brackets typically work best for people with translucent teeth. Rubber bands that surround the brackets are created in the same off-white color, and the extremely thin metal arch wire is minimally noticeable. Ceramic braces have evolved to deliver many advantages. Durability: Ceramic braces are stronger and more durable, especially if they are manufactured with high-quality material. They are resistant against breaking and chipping even when used every day. Discreet: Ceramic braces aren’t as noticeable unless the wearer calls attention to them. There are several types of braces to choose from. For instance, wearers can choose semi-translucent ones if they have pearly whites or teeth-matching color ceramics for teeth that aren’t as white. The ceramic clear braces are intended to blend in, making the braces almost undetectable. Non-Staining: In the past, the invisible braces used plastic that caused stains during regular wearing. However, with proper care, the ceramic material in braces doesn’t stain so easily, thanks to advances in orthodontics. Comfort: Feeling metal against the teeth can be uncomfortable for almost everyone, but that’s not the case with ceramic braces. And they don’t irritate the patient’s gums like metal braces can. Los Angeles orthodontic patients have so many choices today that it’s often more confusing than helpful. Ceramic braces are a very appealing option for the conscious adult, teen, or children who want straighter teeth and a more aligned bite without the use of traditional mnetal braces. About Dr. Atoosa Nikaeen: Dr. Nikaeen strives to provide all of her patients, adult, and children, with quality orthodontics with a skilled and trained hand. Together with her friendly and dedicated team, Dr. Nikaeen proudly serves patients in Los Angeles, Santa Monica, and Beverly Hills. © 2017 Millionairium and Dr. Nikaeen. Authorization to post is granted, with the stipulation that Millionairium and Dr. Nikaeen are credited as sole source. Linking to other sites from this document is strictly prohibited, with the exception of herein imbedded links. © Copyright 2018 Nikaeen Orthodontics, All Rights Reserved.